Dr. Christian Zouain graduated from the Pontificia Universidad Católica Madre y Maestra (PUCMM) in his hometown of Santiago, Dominican Republic. After obtaining his medical degree, he practiced medicine for a few years and then moved to the New York with plans of pursuing residency. While working as a Medical Assistant and later in Case Management, he started exploring other non-clinical career options. That is when he found out about Clinical Documentation Improvement and the value it brought to healthcare. He currently lives in Miami, FL and enjoys reading, working out, listening to live music, outdoor activities, and spending time with his family. Jessica Olson is a Colorado native, a Run Disney Fanatic, and Medical Coder with a lot of grit and perseverance. She most recently underwent a sacroiliac fusion surgery and is planning to take on the Dopey Challenge in 2020. 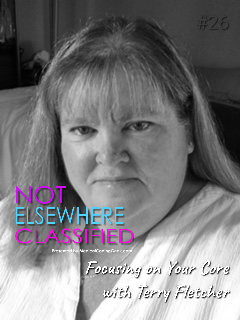 Ms. Terry Fletcher is a Healthcare Coding & Billing Consultant based in Southern California. With over 30-years experience, Ms. Fletcher is an Editorial Board Member for ICD10Monitor.com, a coding, billing and reimbursement educator for McVey Seminars, MGMA, Audio Educator, AAPC, AHIMA, Medlearn, DecisionHealth LLC, Medical Management Institute and her company Terry Fletcher Consulting, Inc., teaching over 100 specialty coding Seminars, Teleconferences and Webinars every year. Terry is a practice auditor for multiple medical specialty physician’s practices around the country. You can find her award winning, #1 Podcast series “CodeCast™ Podcast” on iTunes, Spotify, Stitcher, TuneIn, YouTube and GooglePlay, focusing on Physician Coding, Billing, Reimbursement, compliance, and Medical industry revenue opportunities. Terry holds a bachelor’s degree (BS) in economics, multiple certifications in coding and her proficiency certification in ICD10. Her coding and reimbursement specialties include: Cardiology, Peripheral-Cardiology, Gastroenterology, E/M Auditing, Orthopedics, General Surgery, Interventional Radiology and Telemedicine Services. Melissa Freeman is the CEO & founder of OS2 Healthcare Solutions and OS2U Training & Development Center. As a catalyst for change in the medical coding field for more than a decade, she’s applied her talent and vast experience to transform revenue cycle for insurance plans, hospitals and physicians around the country. Under her leadership, she has helped healthcare organizations reclaim millions of dollars in lost revenue while mitigating compliance risk through her expert guidance. ​Driven by the desire to help others, Melissa is committed to advocacy, animals, family, fitness, philanthropy and economic advancement of families. In the future, she has plans for bringing her vision to life by merging business and philanthropic interest to improve the quality of life for women, veterans and families across the nation. Karen Tolbert currently lives in Greenville, South Carolina. With her husband, they have one grown daughter and two fur babies. They have been lucky to travel when her husband was in the US Navy and she was also in the Army National Guard before I met her husband. She now works as a remote Coder for an Urgent Care Company that has about 90 clinics across the United States. Karen has been coding since 2000 and have worked in many different settings. Karen and her twin sister grew up in a family of creative souls and they decided in 2008 to make their hobby into a business and see where it could go. So Krafty Twins & Doubles was started. They sew handmade items for the kitchen and make Memory Bears. Over the last 10 years theyhave made about 400 Memory Bears! No two are ever exactly the same. Doing creative “work” after a day of work is a great way to use the other part of her brain and step away from sad or difficult charts.